Circulatory disturbances such as numbness, cramps and tingling sensations. CLAUPAREST - Circulatory disturbances can cause a wide variety of symptoms that range from numbness, cramps and tingling sensations to gangrenous processes. CLAUPAREST drops helps benefit these underlying circulatory disruptions, whether caused by injuries, metabolic anomalies or cramps triggered by psychological or somatic reasons. As a result, this medication assists the body to restore its self-regulation capabilities and function properly again. Circulatory disorders, especially blood stagnation and claudication. Circulatory insufficiency involving spasticity or numbness. Cangust, as these two remedies have blood stasis resolving properties that work quite differently, and thus if both remedies are indicated, they are generally given in alternating or sequential protocols rather than together. 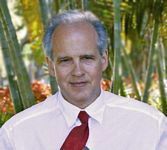 Used for 4 to 8 weeks in protocols designed to cleanse the matrix where circulatory insufficiency is creating a blockade. Can be used long term if it continues to support circulation that is impaired due to aging or pathology. Circulatory disturbances can cause a wide variety of symptoms that range from numbness, cramps and tingling sensations to gangrenous processes. 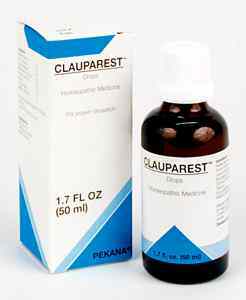 CLAUPAREST drops help eliminate these underlying circulatory disruptions, whether caused by injuries, metabolic anomalies or cramps triggered by psychological or somatic reasons. As a result, this medication allows the body to restore its self-regulation capabilities and function properly again. Mandragora e rad. Sicc. has a broad effect and because of its effectiveness in providing support for gastrocardial, as well as hepatogenic and gastritic and conditions. (see apo-HEPAT where it is also listed) Because of its areas of effect, it can help assist in the prevention of numerous conditions including Brachialigia paraesthetica noctura, cervical and lumbal syndrome, arthritis and arthrosis. Plumbum aceticum helps support spastic conditions of the muscles and the organs, hyper and paresthesia and intervals of limping. It is also benefits spastic constipation and makes the entire remedy more effective. Tabacum specifically addresses vessel spasms in the cases of coronary sclerosis, angina pectoris, Dysbasia intermittens, Meniere, tetania, as well as spastic developments in the kidneys and digestive organs. Also the heart is addressed by this substance where it address the danger of collapse. It benefits anomalies in temperature tone which is a manifestation of the inability of the capillaries to adjust to changing temperatures. Ruta graveolens supports venous blockage and thereby eliminates cramps and acts to eliminate pains, also those conditions that are due to injuries such as hematoma, swelling, squeezed or pinched parts of the body. Circulatory disturbances can cause a wide variety of symptoms that range from numbness, cramps and tingling sensations to gangrenous processes. ADEL 69 (CLAUPAREST) drops help eliminate these underlying circulatory disruptions, whether caused by injuries, metabolic anomalies or cramps triggered by psychological or somatic reasons. As a result, this medication allows the body to restore its self-regulation capabilities and function properly again.